Germany-based International League for Human Rights has awarded this year’s Carl von Ossietzky Medal to Leyla Imret, a discharged co-mayor of Turkey's southeastern district of Cizre, and human rights defender Ottmar Miles-Paul for their contributions to human rights and peace, The Region news site reported. The institution has awarded the medal to individuals who are engaged in civilian society and human rights since 1962, in honour of Carl von Ossietzky, a journalist and writer from Germany. 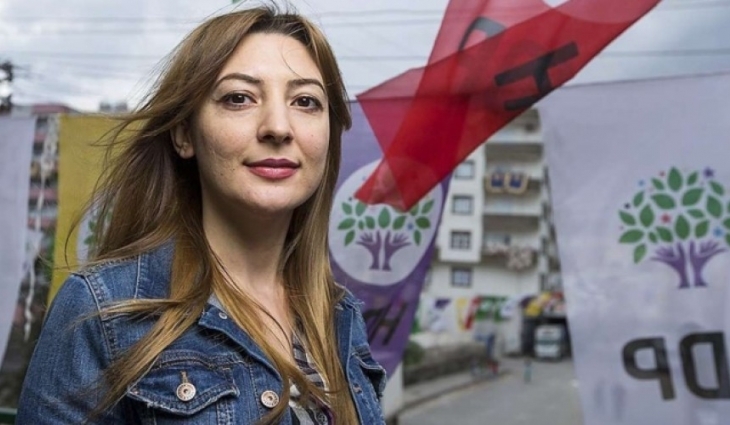 Imret was elected as the co-mayor of Cizre in 2014 local elections from the pro-Kurdish Peace and Democracy Party, but she was discharged in September 2015 and replaced with an appointed mayor. Cizre was one of the conflicted districts in Kurdish-populated southeastern cities during the clashes, which took place from December 2015 to March 2016, between the Kurdistan Workers' Party (PKK) and the Turkish army. 70 percent of the town was destroyed while almost 300 people lost their lives, human rights organisations reported. Publishing a statement on its website on Nov. 6, the International League for Human Rights said Imret talked about the war crimes of the Turkish states and human rights violations in Cizre. “Imret was elected with 83% of the vote. She strived to develop Cizre again after the heavy toll of the war and to ensure equality in the city. Following the 2015 parliamentary elections, the Turkish-Kurdish conflict flared up again and a curfew was declared in Cizre. Imret was later removed from office and investigations were launched against her, at which point she was forced to return to Germany. A film telling Imret's life story was made in Germany. The Carl von Ossietzky Medal will be awarded to Imret and Miles-Paul in a ceremony to be held in the capital city of Berlin on Dec. 26.